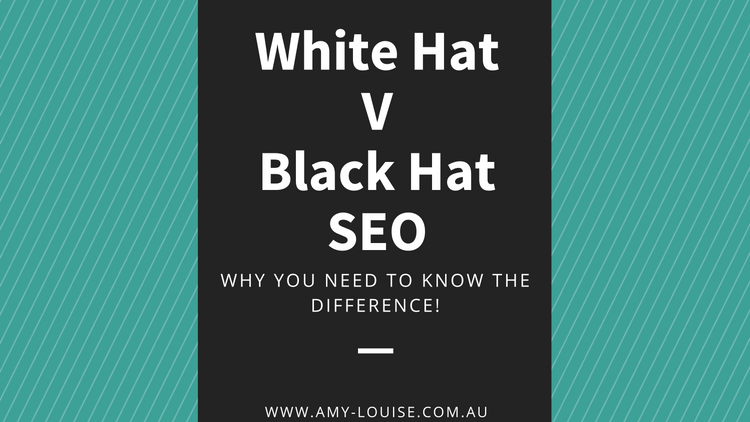 What is White Hat and Black Hat SEO ? Search engine optimisation (SEO) has now become an important part of an organisation’s strategy for marketing success. Through the years, SEO continues to evolve. Digital marketing and optimisation keep us on our toes. There are constant and continuous adjustments as we navigate this ever-changing landscape. SEO is generally categorised into two types of techniques. These two techniques employ very different methods in achieving the same goal, which is to create a usable website that will rank high in search engines and generate a lot of traffic with potential clients. These two techniques are White Hat SEO and Black Hat SEO. What is White Hat SEO? The White Hat technique really has only one fundamental belief, and that is content is king. Now I’m sure that we have all heard this phrase many times in relation to SEO – I know I bang on about this all the time to my clients. White Hat SEO focuses mainly on quality, information-laden, and relevant content. 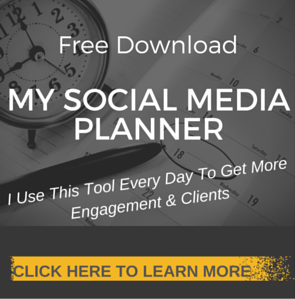 I believe that excellent content will drive traffic to the website. White Hat SEO is called “good” because it follows all of Google’s published guidelines to the letter. However, the disadvantage of White Hat SEO is that it would take some time before the client gets to see a tangible result. Result-oriented business owners are willing to pay for immediate results. These types of owners will not appreciate that it might take about six months for their website to rank well in search results. But if they are willing to wait, they might get lasting results in the long run. Examples of White Hat SEO techniques are guest blogging, creating quality inbound links, and site optimisation using keyword research and effective keyword use. Black Hat SEO, as you might have guessed by now, is the opposite of White Hat SEO. As opposed to the to-the-letter practices of White Hat SEO, Black Hat SEO employs the use of aggressive and risky strategies. The technique usually ignores the guidelines that search engines have set and usually disregards the human audience. Instead, their entire focus is the technical aspects of search engine rankings. 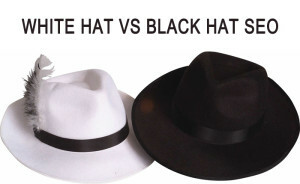 Organisations who are seeking quick financial gain at the shortest possible time opt for the Black Hat technique. They are willing to risk the shutting down of their website in order to gain immediate financial return. Something every business owner needs to be aware of when considering SEO advice. Examples of Black Hat SEO techniques are meta keyword stuffing, blog spam, and link farming. 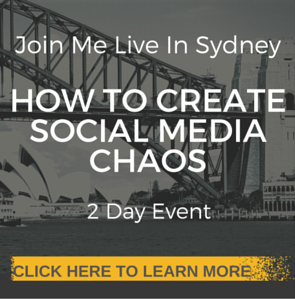 How do you know whether your website follows either White Hat or Black Hat SEO tactics? There are several simple ways of finding out. First of all, when you look at the contextual article and links, White Hat SEO usually have useful anchors, they link to good sites, and have engaging, well-written, and accurate content with only a few keywords. Black Hat SEO, on the other hand, has irrelevant anchors, have links to spam sites, and grammatically poor and illogical content. When it comes to directory links, White Hat SEO contains the relevant and reputable directory that is regularly updated and moderated. Black Hat SEO, on the other hand, have irrelevant industry directory and not moderated. In order for your organisation to reach its maximum potential in terms of search engine results, it is crucial that you can trust a reputable and knowledgeable digital marketing expert who actually have experience in SEO. This expert should be able to understand the organisation’s SEO needs and create a long-term strategy that will provide you with a more robust longer standing result. Want a Free SEO audit done on your website? Reach out now click here for a Free SEO Audit/Discovery Session.